In October 2013, Fire Medic IV Mike Murphy responded to a report of a GSW (gunshot wound) with multiple patients. The residence had limited access making it difficult to reach the patients. After arriving on scene, FMIV Murphy was left to arrange care and transport for two GSW victims, one of those being a GSW to the head. While the crew of R36 was intubating the head wound patient, an HCFR member became ill and unconscious. FMIV Murphy sent his crew outside to care for the HCFR member and continued to manage the care for the GSW patient. To further complicate this call, FMIV Murphy experienced an equipment failure of the LifePack15, which required him to remove the endotracheal tube to ensure the patient was being properly ventilated in order to have the best chance for survival. Once the medical helicopter landed, patient care was handed over to Aero Med. This was a challenging multi-company scene which resulted in the transport of three patients. Fire Medic IV Mike Murphy’s expertise and experience made this a manageable incident and resulted in the best possible outcome for the patients. Fire Medic IV Mike Murphy has been with Hillsborough County Fire Rescue since November 1986, and is currently acting as the Rescue Supervisor for C- Shift. 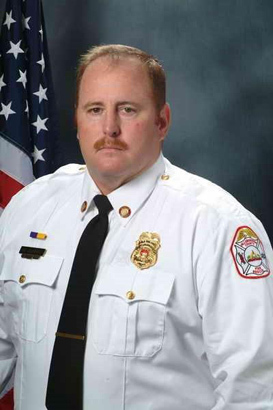 He was a member of Tampa General Hospital’s Aero Med Team for 12 years and a member of Hillsborough County Fire Rescue’s Medical Emergency Response Team (MERT) for 10 years. Mike Murphy and his wife Marilee have been married for 15 years and they have a daughter, Sarah. ©2019 Tampa Bay Heroes. All rights reserved.